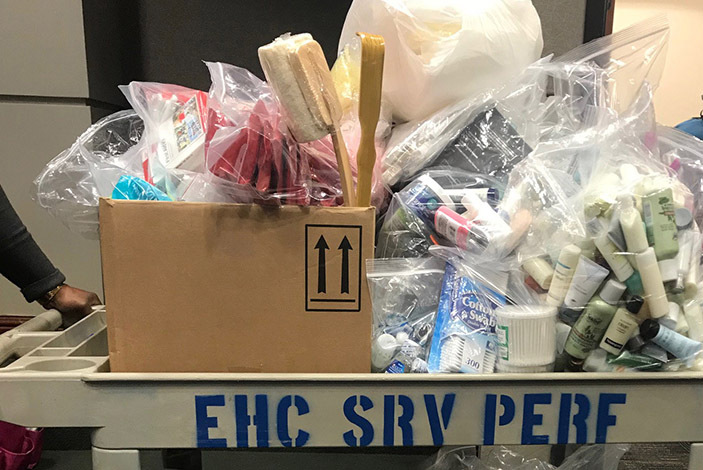 Emory University Hospital Midtown employees collected and donated hundreds of much-needed travel-sized toiletries and school supplies to the HEALing Community Center. Emory University Hospital Midtown has teamed up with the HEALing Community Center this holiday season to assist those who are less fortunate. The HEALing Community Center is a Federally Qualified Health Center located in Southwest Atlanta and developed in 2011 by Charles E. Moore, MD, professor of otolaryngology at Emory, in conjunction with HEAL (Health Education Assessment and Leadership). The center provides health care needs to the indigent, low income and homeless community. 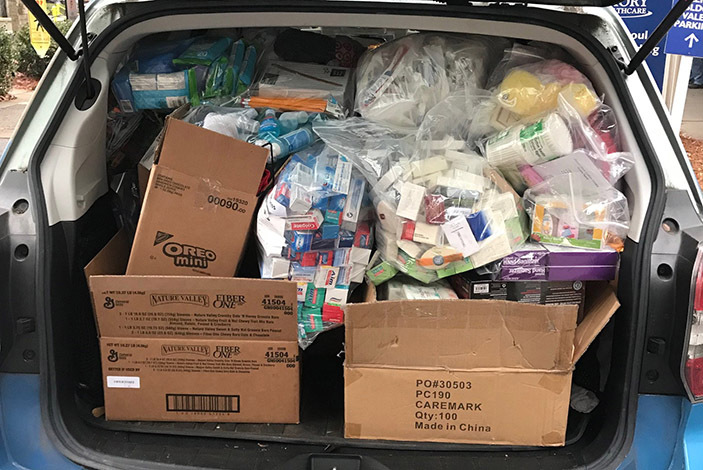 Led by the operating room staff at Emory University Hospital Midtown, hospital employees collected and donated hundreds of much-needed travel-sized toiletries and school supplies for the center. 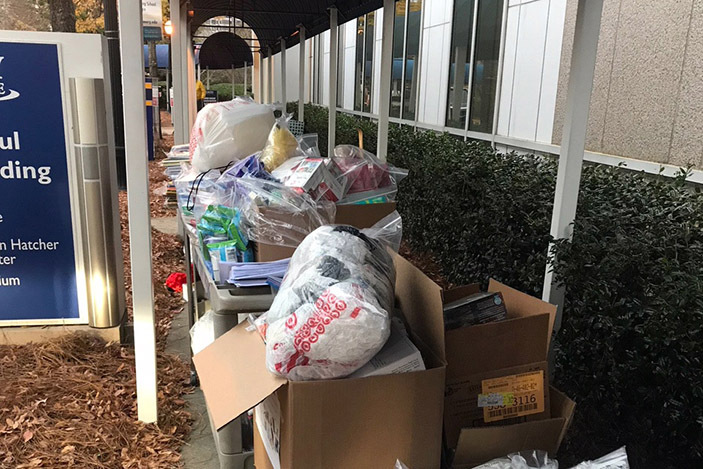 "This is the second year Emory University Hospital Midtown has collected and donated items for the HEALing Community Center," says Karen Holden, BSN, RN, operating room nurse at Emory University Hospital Midtown. "Last year, this was a holiday project for the operating room staff only. This year, the entire hospital was involved, so it was very exciting to have so many people participate." "The HEALing Community Center would like to thank the Emory University Hospital Midtown staff, led by the OR, for their donation," says Moore. "They have diligently worked to improve the health of individuals, not only in the hospital, but also in our communities. This action demonstrates their tremendous generosity and support of our work. We look forward to our continued partnership to impact the health and well-being of those in need." 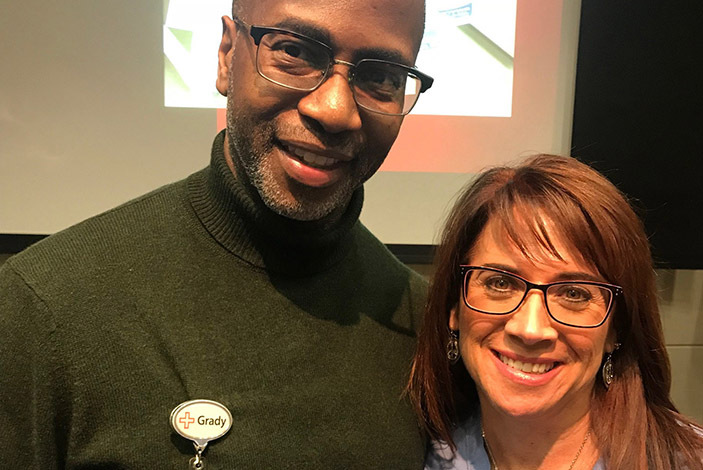 Moore opened the HEALing Community Center in 2011 after years of seeing numerous patients in his ENT (ear, nose and throat) clinic at Grady Health System seeking medical help once their disease had progressed to where they had limited treatment options. He began giving cancer prevention talks at homeless shelters and community- and faith-based organizations, focusing on the areas of town that had the highest percentage of head and neck cancers. His efforts then turned to more basic primary care needs, which is the foundation of the center. In June 2018, Emory University Hospital Midtown is planning another collection of school supply items to donate to the center before school is back in session.